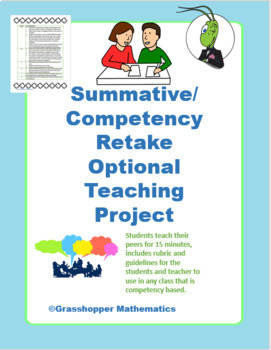 This assignment gives students the ability to retake a topic that they may not test well in but could teach to their peers. There is a rubric included as well. 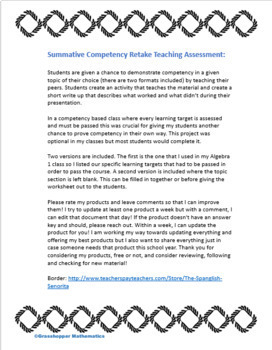 This is best used in a competency/standards-based setting where students need to demonstrate proficiency in all learning targets to move forward.